Most new clients enjoy their first meeting with us. We spend the majority of the time listening to and getting to know them. Our goal is to understand what is important to our clients and their families and to understand their family history, including any unique dynamics. Our first meeting can be extensive because we ask questions that many clients have never been asked before. 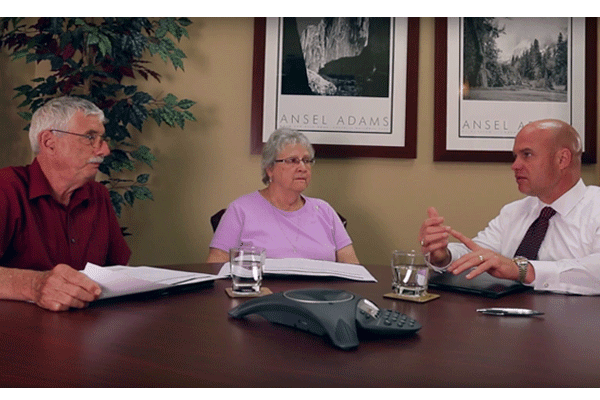 When you become our client, we want to understand your hopes and dreams—how you want to spend your retirement years, what your personal goals are, and whether you have any legacy considerations. We also want to understand what keeps you up at night. Are you worried about running out of money, losing all your assets if you or your spouse ends up in a nursing home, or not being able to afford health care? Only after those topics are discussed can we determine if and how we can help. During the first appointments we also will review your current assets, income, debts, and budget. We’ll examine your current estate planning documents, review your tax returns, discuss college planning (if necessary), and review different types of insurance, including life insurance and long-term care insurance. Next, we’ll review your income and whether you have begun receiving Social Security and/or pension payments. After that we can provide optimization strategies. When we meet with a couple, we also review the survivability of any income sources for a spouse. Once we have reviewed your entire financial position, we want to learn what you would like to change or improve. Once we have learned about you and your family—what is important to you, and what keeps you up at night—we can design a customized wealth plan specifically for you. Our wealth plan is a working document that explores many different scenarios, including retirement at various ages with different amounts of money, the impact of the sudden loss of a spouse at different ages, and the impact of a spouse having health problems that lead to a nursing home. 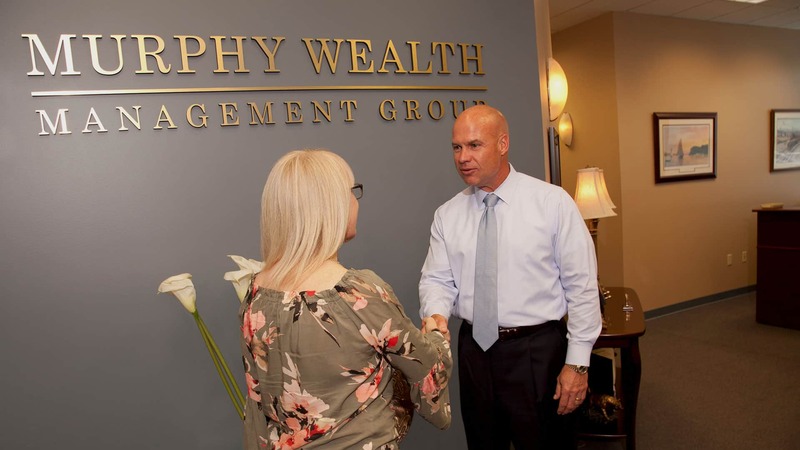 The wealth plan explores those potential outcomes and offers solutions. That plan forms the foundation for all we do. We have found over three decades that many people put the cart before the horse; they invest without having a plan. Therefore, they have no idea if they can reach their goals. We start with a plan based on all the information we have accumulated from you and then determine the best approach to make your goals and dreams a reality. During the first meeting we also discuss compensation. We are a fiduciary firm, so we do not receive commissions. Our compensation model is simple: we charge a flat percentage each year based on the amount of dollars we’re managing. We take our fee over four quarters so any market fluctuations have a chance to even out. The better you do, the better we do. We believe it’s important to be on the same side of the table as you. If you would like to learn more about how we are compensated, click here. We believe that your first meeting with us will be eye-opening. You will see how we use our fact-finding strategy to learn about you, your family, your goals, and your dreams. Only then do we put a plan in place. People come first . . . strategies come second. The majority of first meetings lead to a second appointment that centers on the creation of a personalized wealth plan for you and your family. Once we’ve determined what is needed in your portfolio, we begin to turn our individualized attention to determining your family’s risk level and what your potential risk level should be. Years ago we used inferior methods to calculate risk levels, but modern technology has enabled us to pinpoint someone’s risk level far more accurately so they are prepared for market volatility when it comes. Once we calculate and agree upon your risk level, we construct a customized portfolio strategy using low-cost, exchange-traded funds, all without any commissions. Once we have extensively reviewed your customized portfolio together, we will discuss how you can benefit from other professionals on our team, whether in tax preparation, estate planning, or other areas. If you are interested, we will facilitate meetings with those professionals until we have completed all the steps in the planning process. We are usually involved in meetings with all other professionals because we are there to support you. After the second meeting, you will understand all the ways our group can help you pursue your hopes and dreams. However, we are not a high-pressure firm. Becoming a client is an important decision you should not rush into. In some cases, ending relationships with other advisors might cause some emotions. We prefer that you sleep on it and get back to us when you’ve had a chance to discuss the potential of our firm’s becoming a key part of your life.